Kronis is a web front end for the display and management of crown cap databases. 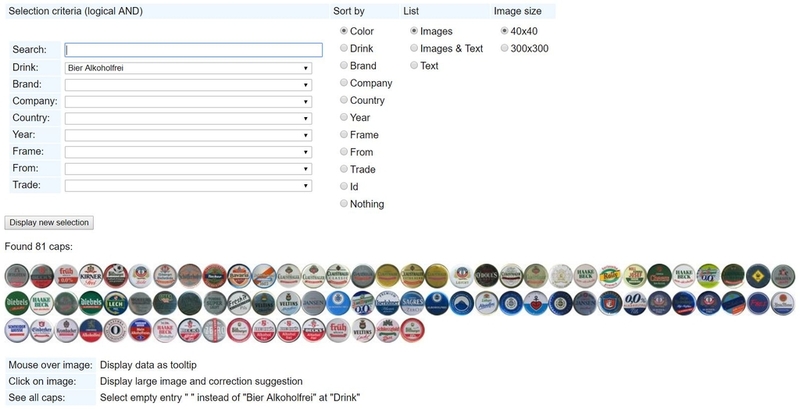 Web users can search for specific crown caps by brand, company, country, year, ... Database managers can scan multiple crown caps, rotate, crop, and scale them prior to database insertation, and automatically find doublets.